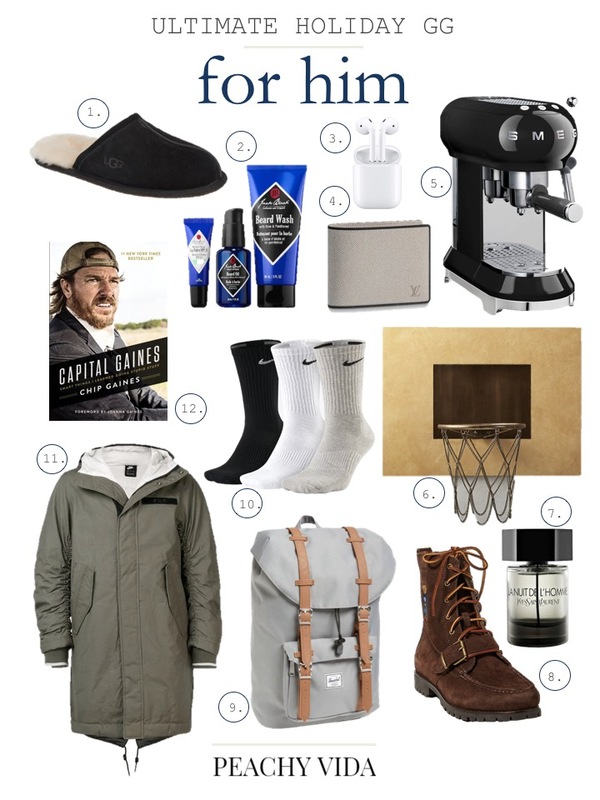 For the third instalment of this year’s holiday gift guides, I suppose we should give some love to the guys (lol), so this is my ultimate holiday gift guide for him! So much of this is based on Ryan (stuff that I’ve already gotten him that he loves or stuff he has just bought himself and loves lol) but he’s such a guy’s guy that I think you’ll all find something in here for your needs 🙂 Once again, there’s a vast range of price points, and a mix of super functional essentials and more luxe pieces! Don’t forget, you can also shop the ultimate gift guide for her + my list of affordable and easy holiday decor. Let me know how you’re liking these & if there’s any others you’re itching to see, x.